We all love free stuff – whether it is embroidery designs or free patterns for sewing, knitting or other crafting genre. But let’s face it, sometimes “you get what you pay for”, bummer. 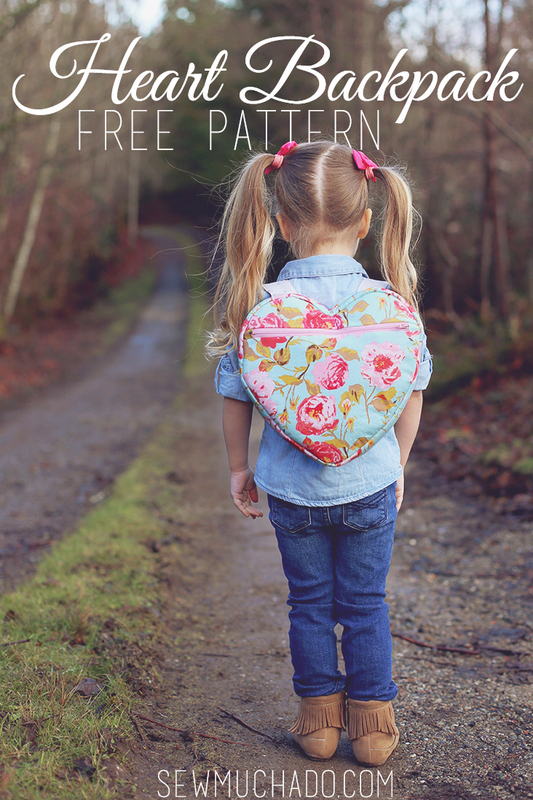 However, in my browsing through blogs today, I came across this most adorable heart-shaped backpack pattern and was so happy that I did. 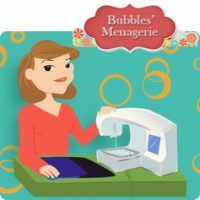 I had never been to SewMuchAdo blog before – it has now been added to my top notch list of sewing blogs to follow. First, her photography is delightful and inviting. I want to check out this pattern just by looking at her photography right at the beginning. I’m on a slow internet connection so it took awhile for the complete pattern/tutorial to load, but it was well worth the wait. The attention to detail with the step outs, clean colors, and non-complicated approach to construction is definitely appealing. Second, did I mention I loved the clean colors? That is so important for me when looking at a sewing pattern. Yes, we all have our personal taste and I personally kind of think the big floral print is frumpy – cute on the backpack but it reminds me of a dress I’m pretty sure I had in the early 90s with puff sleeves and a peplum. But the fabric choices are such that they photograph well and don’t make me squint and try to imagine a different fabric. This could be fresh on my mind because I recently found a pattern that could have been great, but the step outs were all photographed with different fabrics that did not create the final project. It was very confusing and lost any “reference” factor – “oh that’s the front pocket technique, no maybe its the inside pocket, hmm maybe its actually the gusset”. That was distracting and unfortunately I didn’t bookmark the pattern because I knew I would get flustered. I’m definitely intrigued by this blog and hope to make this project this week – I might even try enlarging it for a more “tween” version and add a nice monogram or other embroidery.